Pretty much every member of the Vampire Book Club team adores Chloe Neill’s novels. We glom every title she releases. Last year when she launched the Devil’s Isle series, we fell in love with yet another world. 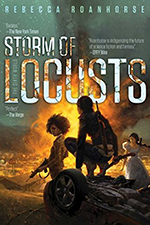 We loved the post-apocalyptic New Orleans she crafted in The Veil (read Jannelle’s review), and could not wait for more. 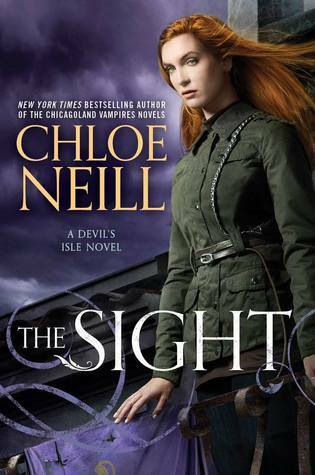 Today the sequel The Sight has hit stores (you really should order a copy now), and Chloe was game to answer Jannelle’s need-to-know questions about the series and what’s next for readers. VBC’s Jannelle: Did you always want to come back to a more magically-centralized world? 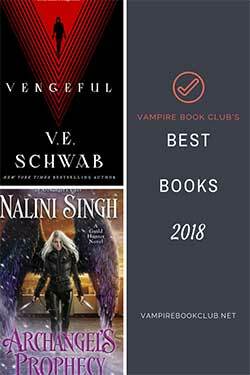 I know magic is an important element in the Chicagoland Vampires series, but it’s not the major paranormal element there compared to your Dark Elite or Devil’s Isle series. Chloe Neill: I was interested in writing not just about magic, but about a magical prison. I think the relationships between humans and Paranormals in Devil’s Isle and Dark Elite are more realistic than in Chicagoland Vampires. I don’t much trust humans, and I think war is more likely than peace. And if there’s too be war, there has to be prison–or in the case of Devil’s Isle, an internment camp for Paranormals. For that’s the price of keeping the Veil closed. VBC: What is it about the paranormal genre that keeps you writing? And if not a paranormal-laced novel, what? Chloe Neill: I love the worldbuilding in paranormal novels—researching, brainstorming, planning. It’s by far my favorite thing about writing. Someday, I’d love to write a Regency romance, and perhaps a snarky pirate romance! VBC: In both the Chicagoland Vampires series and your Devil’s Isle series, you have food as a major component on how people identify themselves culturally. It’s almost as if the city if alive through the food. Was this done purposefully and does it speak to a strong connection you have with food? Chloe Neill: It was done on purpose in both series, and I definitely have a strong connection to food. Being from the south, it’s how we share in joy and comfort, grief and solace. CV is a celebration of the food that exists, especially in Chicago. In Devil’s Isle, food is a thing to be remembered and hoped for, because commodities are so much harder to come by. Chloe Neill: I’m originally from Arkansas. I think of cheese dip, farm-grown tomatoes, and biscuits and gravy! VBC: Who was your favorite character to write about while drafting up The Veil and/or The Sight? Least favorite? Chloe Neill: I think Moses is my favorite character, because he has so much personality. I don’t like Broussard, because I don’t trust his motivations. VBC: Because I can’t be a paranormal romance junkie without asking: Can you give us a tiny hint as to where Claire and Liam’s relationship is heading? Chloe Neill: That’s for THE SIGHT to reveal! VBC: What can you tell us about The Sight that isn’t in the blurb? What can we expect from Claire this time around? Chloe Neill: More bravery beyond reason, more magic, and more education about what it means to be human and Paranormal.